Cento Tuna provides the excellent taste, quality and consistency which you have come to expect from our products over the last 50 years. Our tuna is caught, cleaned and filleted consistent with the United Stated FDA Good Manufacturing Practices and guidelines in Asia. Due to a recent change in Federal law, the country where the fish are filleted now appears on each can. The filleted fish loins are then imported into the United States, selected and graded for our proprietary recipe, then canned and sterilized under all Hazard Analysis Critical Control Point (HACCP) and FDA exacting standards. This process has been used by us for more than 50 years, and allows our quality control department to fully ensure and guarantee the quality of every single can. 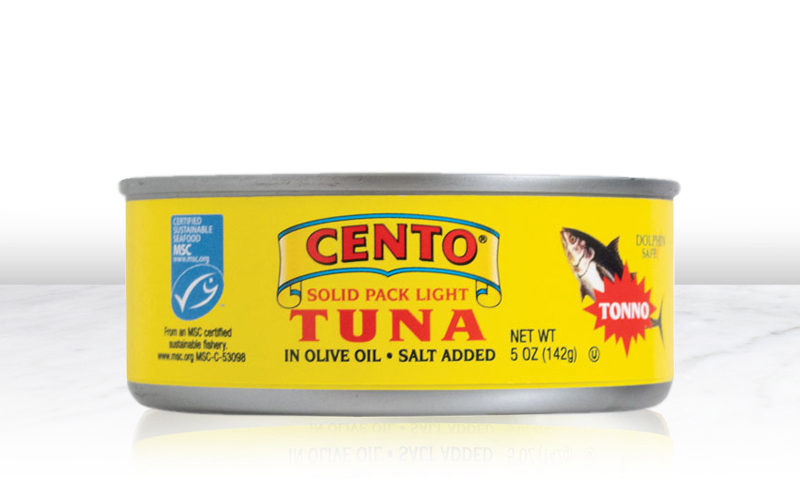 Cento Tuna, from start to finish, is the highest quality available. We are committed to selecting the finest tuna loins, applying stringent requirements in compliance with and above FDA requirements, and ensuring our tuna remains 100% environmentally friendly. Cento Tuna is wild caught, dolphin safe, and certified sustainable and with complete traceability by the Marine Stewardship Council (MSC). Our MSC certification ensures that our tuna products can be traced back to an MSC Certified Sustainable wild-capture fishery, where viable fishing practices help create and maintain a sustainable seafood market. Try our tuna for yourself to taste the difference quality makes. 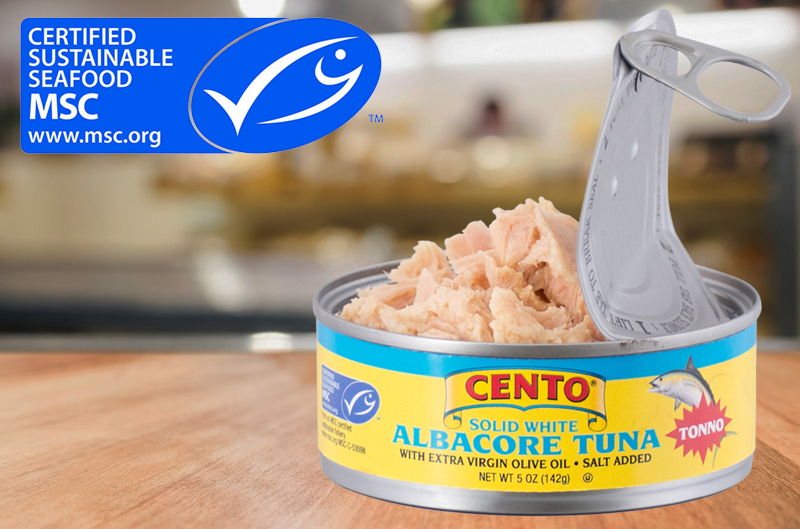 FAD-free and wild caught, Cento Tuna Fish in Olive Oil is solid, packed light tuna with no additives or preservatives. Available with a pull top for easy opening in perfectly portioned cans, our tuna is an excellent ingredient in tuna fish sandwiches and pasta dishes. 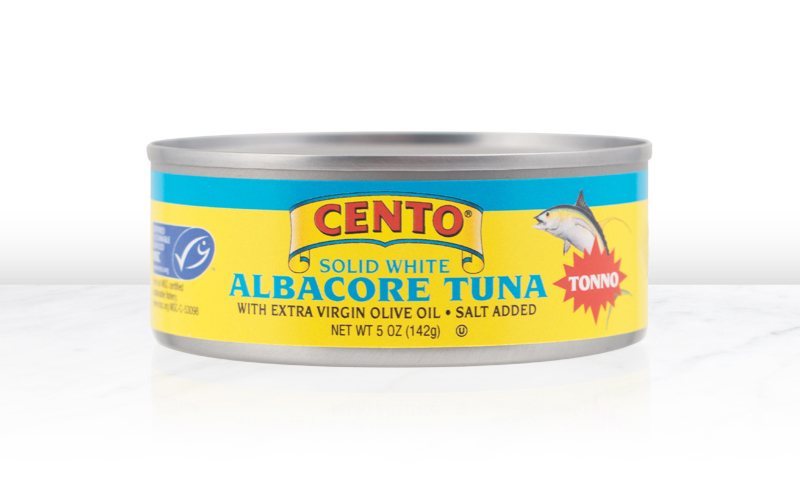 Cento Albacore Tuna Fish with Extra Virgin Olive Oil delivers a mild, clean flavor in solid fillets. Naturally gluten-free with no additives or preservatives, tuna is high in protein and a natural source of Omega-3s. 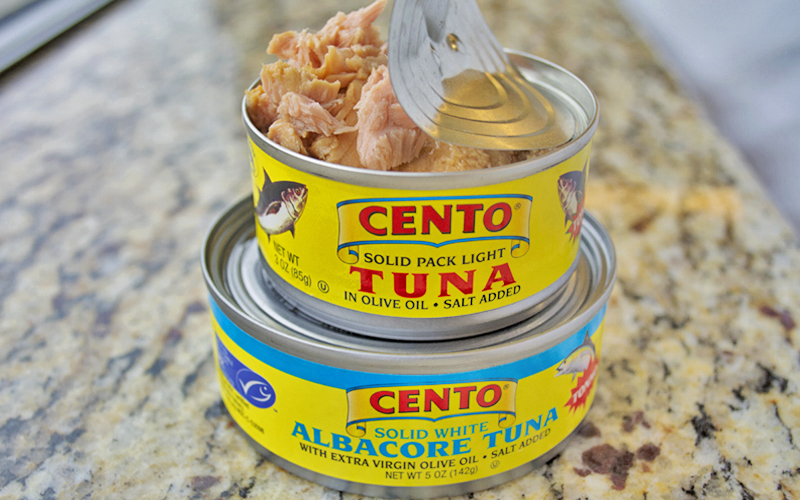 Cento Albacore Tuna is perfect for sandwiches, pasta dishes or as added protein in your favorite salad.